Music powerhouses Rihanna and Jay-Z are no strangers to collaborations--they've been on tracks together before like "Umbrella" and "Run This Town." These and the duo's other hit songs together have left fans begging for more--and their wishes may be granted very, very soon. Reports are circulating that the stars were seen together Wednesday in Bel-Air having lunch and discussing "what they can do together." With the highly anticipated release of Rihanna's ninth album, which will be her first album since Anti in 2016, this news is ramping up the hype surrounding the artist's creative endeavors even more. 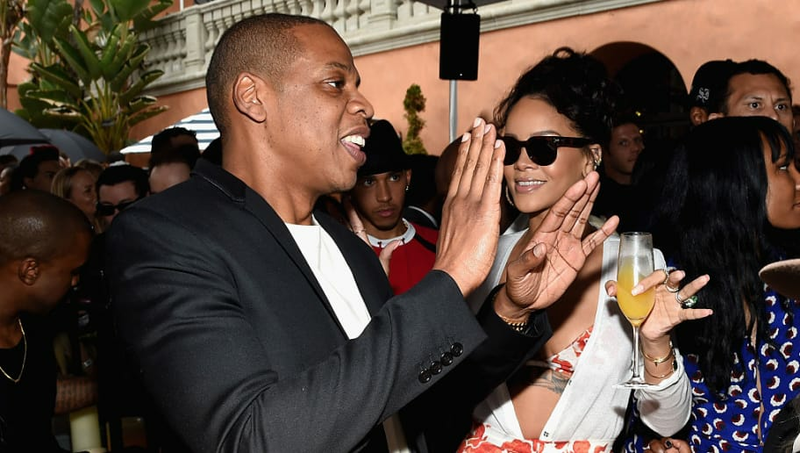 Are JAY-Z and Rihanna working on another collab? The lack of new music is speculated to be related to the fact that Ri's newest album is going to be a massive collaborative effort, with content from a plethora of artists with Jamaican heritage. Fans have not been subtle about their excitement for the artist's new work, and have been taking to the internet to express how they feel. This, combined with the fact that Jay-Z may be coming back for another collab, has sent fans awaiting a solid confirmation. We, along with the rest of Rihanna's fans, know the wait for the album will be completely worth it--and we'll be keeping an eye out for this collab.